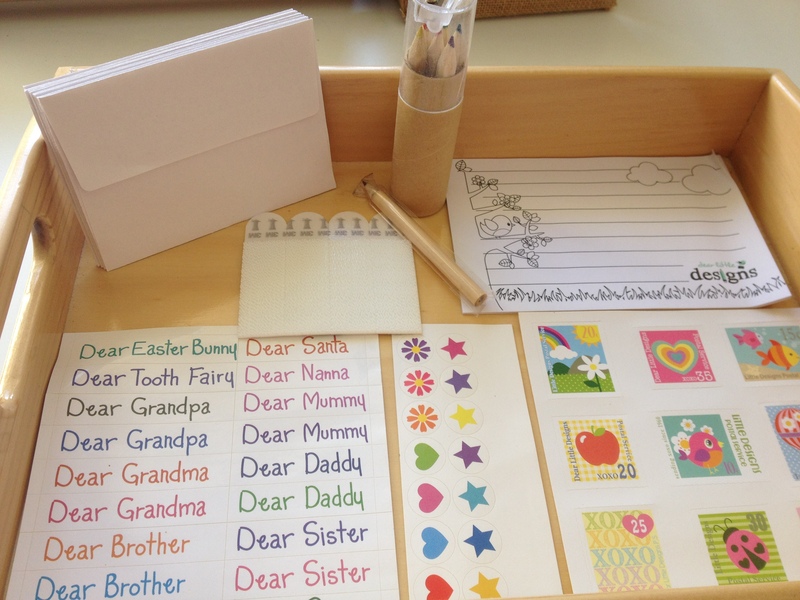 As inspired by the Playful Learning online workshop I completed a while back, you can see our current at home writing centre set up. A new addition to this space is a Dear Little Letterbox that my 3.5 year old received as a gift. Even though she is not writing words per se, she has absolutely loved using this to create letters for family and friends. 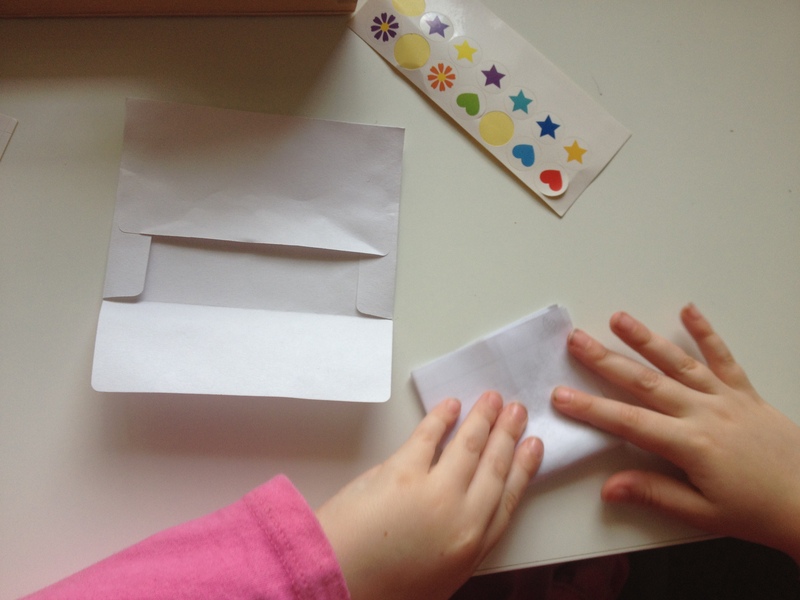 My eldest loves using the sticker names or writing some of her family members names that she can write herself, drawing pictures, folding up the letter, putting it into the small envelope, adding a stamp and the persons name and putting it into the letterbox. Lots of fun! We have kept ours on the desk, but it can be secured onto a wall. 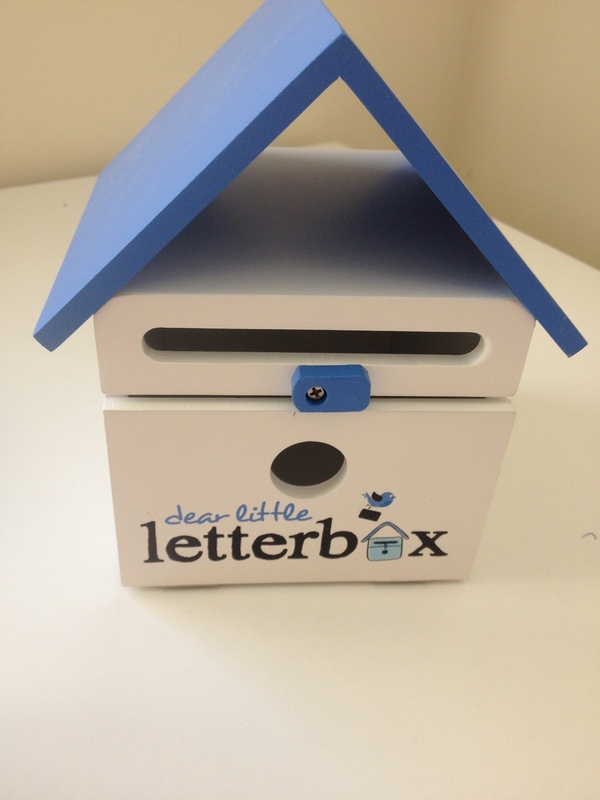 This is what came in the box, including the wooden letterbox; wall strips to secure letter box to the wall, a lined writing pad, envelopes, stickers and stamps, coloured pencils and a sharpener. 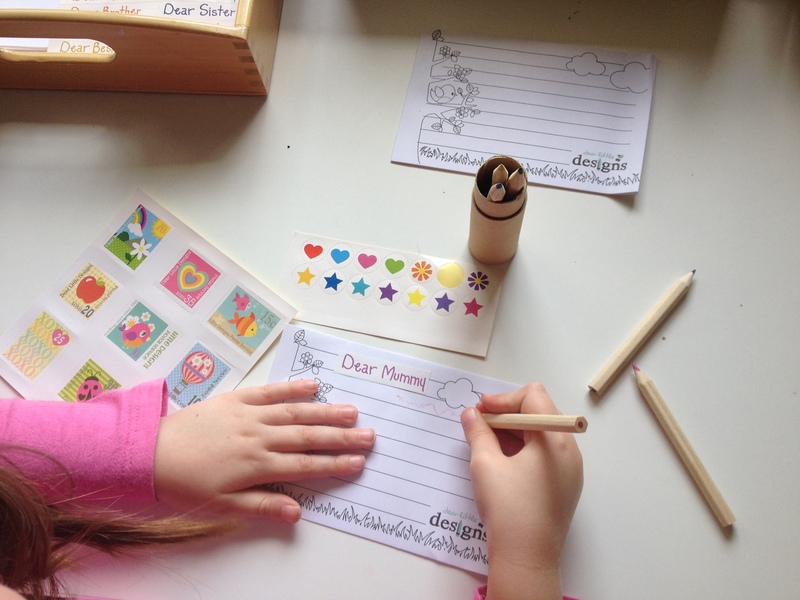 My 3.5 year old is in the early -writing stage however I think something like this is a great start to introduce the art of letter writing. We have had friends and family who have visited, write little notes for my children and have left them in the letterbox for them to read which is great. Paper folding was tricky but fun for my eldest. This is really sweet, so lovely Olivia! Thanks Kylie, I love your Letter Writing Tray.